I’m going out on a limb here. The ambition of this melodrama from Ryan Murphy, Brad Falchuk, and Steven Canals at times exceeded its grasp. 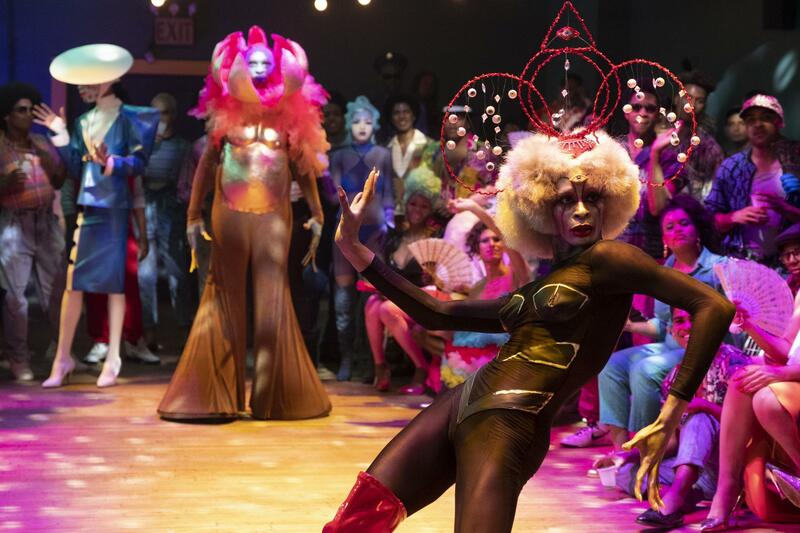 But still: I was consistently blown away by its deep dive into the early years of AIDS and the 1980s Harlem ballroom scene, where LGBT people formed a ritualistic sense of belonging around the runways. 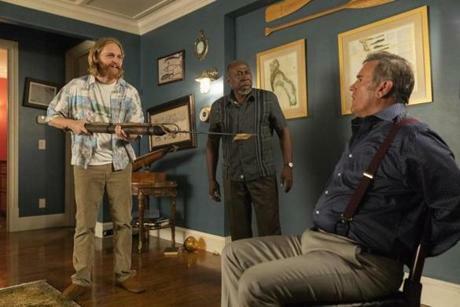 The season, told in eight episodes, is a story about survival no matter what. The acting, largely by the trans actresses, was stunning — with all the drama queenliness you might expect anchored by a wide range of emotional subtlety. I’d feared the series would be a hollow exercise in spectacle, but it’s far from that, as it shows the beauty of families of choice and the daily struggles of people living on the financial and cultural edge. The extended ballroom scenes, led by the miraculous Billy Porter as the witty, shady emcee, are funny, flamboyant, and vibrant. At times, Murphy employs the overused tropes about underdogs that he used on “Glee,” but in this singular domain, at that difficult historical moment, they nonetheless seem powerful and fresh. Tell us what you think are the best shows of the year in the comments. Amy Adams in HBO’s "Sharp Objects." Mental illness, extreme dysfunction, and family! Happy holidays everyone! The way that this slow, deliberate miniseries adaptation of Gillian Flynn’s novel brings us deep into the broken soul of a family is revelatory. Yes, there is a murder mystery afoot, with a missing girl and a dead girl unhinging a small Missouri town. But the focus is on the main female characters and the trauma inflicted by and on them. 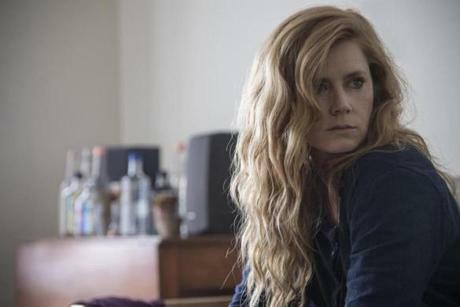 As an alcoholic journalist back in her hometown to cover the crimes, Amy Adams carries the eight episodes with jagged intensity. She has to deal with her prima donna nightmare of a mother, played with finely gauged creepiness by Patricia Clarkson, along with her own suppressed memories. With his haunting drifts back and forth in time, director Jean-Marc Vallée (“Big Little Lies”) casts a dark spell, driving home the porousness between the present and the past. Phoebe Waller-Bridge wrote this brisk, entertaining thriller with the same droll tones she deployed so humorously — and movingly — in the series “Fleabag.” And the stars, Sandra Oh and Jodie Comer, embraced that tone perfectly, as Oh’s British intelligence investigator chased Comer‘s stylish assassin-for-hire, who chased her back. What was the attraction between the two women on opposite sides of everything? Were they engaging in some kind of high-stakes courtship? That question gave the series its most intoxicating human mystery. The European settings add a lot of dash to the familiar cat-and-mouse trope. 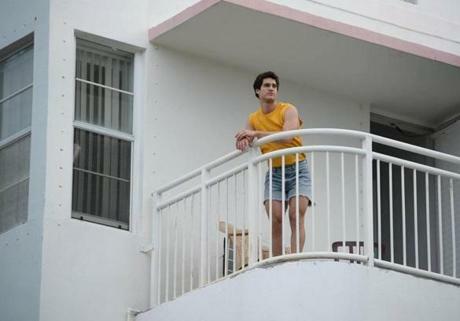 Ryan Murphy takes the story we know — gay killer Andrew Cunanan shoots fashion king Gianni Versace in front of his Miami home — and expands it to add cultural, criminal, and psychological context. We see how Cunanan became twisted with self-loathing and pretense, and we learn more about the murders he committed before his last, most famous one, Versace. Most important, we watch as the police make lethal presumptions out of homophobia, not taking these murders and the pursuit of Cunanan as seriously as they should. The most effective parts of the limited series take us into the lives of his lesser-known victims. As Cunanan, Darren Criss can be too broad, like a horror-movie villain, but overall he is compelling in his pathos, a very untalented Mr. Ripley. The work of the supporting cast, notably Judith Light, Mike Farrell, and Cody Fern, is flawless. 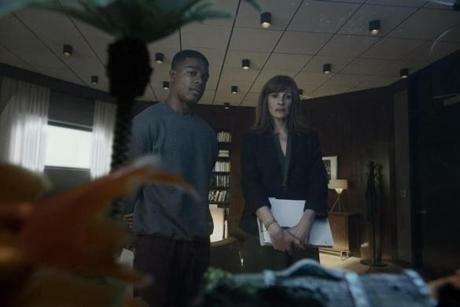 Stephan James and Julia Roberts in Amazon’s "Homecoming." I’ve heard viewers call this podcast adaptation “overrated.” But I rated it as excellent in my review, and I’m still good with that. The story line expands into “Manchurian Candidate”-like intrigue, as a company created to help war veterans return to society remains stubbornly cloaked in mystery. The acting is strong, by Julia Roberts (most mysteriously, in a bad wig) as a caseworker with good intentions who is manipulated by the company, by Bobby Cannavale as her menacing manager, and by Stephan James as her significant charge. And the direction, by Sam Esmail, is all aces, as the format and look of the series dovetails perfectly with its themes. It’s a visual and audio wonder, looking by turns like a chilly corporate maze of aquarium-like rooms and a road movie tinged with Hitchcockian intrigue. Margherita Mazzucco in HBO’s "My Brilliant Friend." 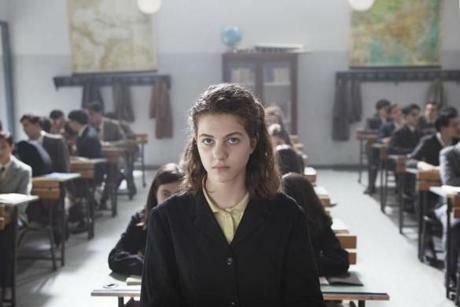 This earthy, faithful adaptation of Elena Ferrante’s novel about the friendship between two working-class girls — the first of four planned miniseries based on Ferrante’s Neapolitan books — features spectacular young actresses in the leading roles. They bring the intertwined interior lives of their characters to life, as they face the social and gender limitations of their brutal world. They’re smart girls in a neighborhood of adults who prefer that they sweep floors. Visually, the series is gorgeously sunlit but never romanticized, as macho boys take advantage of innocent girls and husbands bully their dutiful wives and daughters. And the language — the Neapolitan dialect of Italian — is melodic enough to make the subtitles sing. It was hard to say goodbye to Joe Weisberg and Joel Fields’s bleak spy drama — but less hard because the final season, and the finale episodein particular, were completely on the mark. Once the series’ expertly built political suspense subsided, and the rift between Philip and Elizabeth Jennings was resolved, every character seemed to wind up exactly where he or she belonged. That parking lot face-off between Noah Emmerich’s Stan and the Jenningses was the climax we’d been waiting for since the series premiere, and it did not disappoint. All the performances, as usual, were beautifully complex, with Emmerich and Holly Taylor (as daughter Paige) unfairly ignored for their fine work by all the awards shows. 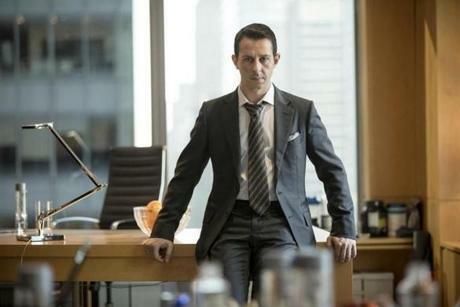 Jeremy Strong in HBO's "Succession." Such trash, and so so so good. No one is not complicit in this game of cojones, as a wealthy media mogul toys ruthlessly with his ambitious children. Like “Billions,” it’s a lot of big-money bluster and table turning. And like “Dynasty,” it has an eye for family rifts and dramatic confrontations (although I don’t recall a mud-wrestling scene). The hierarchy changes daily in the litter known as the Roy family, and black comedy — about media, money, and men — ensues. A few indelible performances — by Jeremy Strong as the heir apparent, Matthew Macfadyen as the hungry outsider, and Brian Cox as the Rupert Murdoch-like patriarch — add class to this portrait of the one percent of the one percent. Maya Rudolph and Fred Armisen in Amazon’s "Forever." This small story took me up into the stars and down to the bottom of the sea, as it followed a sweet, dull marriage into the future. The show — a comedy and a drama — got a little lost in the miasma of Peak TV, and it was hard for critics to write about it honestly, since it contains major, premise-shifting, “The Good Place”-like twists in the first few episodes. But it’s a magical little treat, with themes of death, boredom, transformation, and comfort mixed in with deadpan humor. What does “forever” mean in love? The show takes everything to its logical extreme. Maya Rudolph proves she is one of our more underrated leads, as she brings heart and soul to her turn as a woman on the verge of happiness. “Forever” is whimsical and yet moving, a sliver of original TV. It’s hard to do justice to the story line in this sweet and playful drama, which involves an injured surfer dude, his cynical twin sister, and a local lodge in Long Beach, Calif., that was founded on theories of alchemy. All the characters are chasing their dreams, hoping to make that money or to win over that love interest — and the show celebrated their quests. The SoCal sunshine is abundant, and, as the low-key and optimistic hero, Dud, Wyatt Russell is a breath of fresh air. The large supporting cast is engaging, too, especially Brent Jennings as Dud’s lodge pal and Sonya Cassidy as Dud’s sister. On a different day, any one of these could have fallen into my Top 10. Adapted from a graphic novel, this British series gave us teens on the run like we’ve never seen before, with Alex Lawther brilliant as an unexpectedly sympathetic young psychopath. The sweetest ensemble on network TV — each and every one of them, from Ted Danson’s Michael to Manny Jacinto’s Jason — makes the brainy humor work beautifully. Desiree Akhavan directed, cowrote, and stars in this comic but profound journey of a lesbian exploring her freedom after a breakup. Bill Hader and Henry Winkler stand out as a war-vet assassin and his acting coach in a story of radical transformation. These interlocking short stories deliver a random, mundane, and completely magical look at NYC. E.M. Forster’s novel gets plenty of room to breathe in this finely acted four-parter about class, and class guilt. An excruciating but ultimately redemptive portrait of an aristocratic man — played with brio and pathos by Benedict Cumberbatch — raised in an abusive home. No show on TV is quite as wonderfully unpredictable as Donald Glover’s surreal series, as it explores broad cultural themes with humanity and specificity. Season two was as effectively terrifying as season one, and it seemed to carry extra resonance as it overlapped with the #MeToo movement. A trio of dazzling performances — by Patricia Arquette, Paul Dano, and Benicio del Toro — and sure direction from Ben Stiller bring each step of this real-life prison break to life.